Mr Salifu Saeed, the Northern Regional Minister has asked religious leaders in the region to play lead roles in seeking lasting peace and unity for the region's development. He said by their large following, religious leaders wield tremendous influence,that could bring the people together to achieve peace, progress and development. 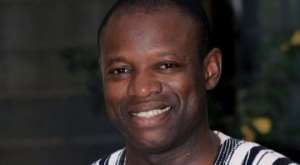 The Minister made the appeal in a statement issued in Tamale on behalf of the Regional Security Council (REGSEC) at the weekend after an alleged confrontation between the leadership of two religious groups. Mr Saeed who is also the chairman of REGSEC urged all other religious leaders in the region to continue to urge their congregants to appreciate the value of peace and not engage in any acts that could jeopardise the existing peace. "As religious leaders, REGSEC believes, you hold the key to the achievement of total peace in the region. Only recently, REGSEC had relied on Islamic Clerics in Tamale to travel to Bimbilla to initiate the process of peace building amongst the contending sides in the Bimbilla Chieftaincy dispute", he said. He said the achievement chalked in that intervention was highly worthy of mention and REGSEC believed that Religious Leaders had a major role to play in addressing the well known chieftaincy problems in the region. He said REGSEC noted the commitment to peace, which had been expressed by the leadership of Ambariya and Masjid Bayan and wish to express gratitude to them for their exemplary show of maturity and expressed the hope that the various commitments they made to peace, coupled with the measures that had been put in place by REGSEC would yield the desired dividends of achieving total peace in the region for the needed development to take place. "In the wake of the recent rising tensions within the Tamale Metropolis over differences between the Anbariya and Masjidul-Bayan muslim groups, the Northern Regional Security met to consider strategies to deal with the issue and review measures it has so far taken", the statement explained. It said as a first step, the Regional Security Council had deployed security personnel to key areas involved in the recent misunderstandings, while security patrols had been intensified within the broad concept of the operation 'Suhudoo' (Calm Lives), in the Metropolis. The statement said the measures were expected to demonstrate the preparedness of the Security agencies to deal with the situation saying, "REGSEC therefore wishes to caution all residents in the Metropolis against any acts that will seek to disturb the prevailing peace in the Area. Any person or group of persons found to be engaged in any acts that can jeopardise the peace in the area will be dealt with in line with the law. "Secondly, REGSEC will meet with all radio stations within the Tamale Metropolis on Monday, 26th February, 2018 to discuss measures to control excesses in utterances and preaching on radio stations. REGSEC will seek to re-echo its caution to all Radio Stations to be diligent on the contents of whatever materials they put out to the general public so that passions will not be inflamed to create disturbances in the area. "Freedom of speech must be exercised in a manner that it does not hurt or injure others in any way and Radio Stations must not allow materials that seek to create misunderstanding in the society", it said. According to the statement, Mr Saeed had personally engaged the leadership of Ambariya and Masjid Bayan that had been involved in the misunderstanding and they have both pledged to uphold peace in the Area.